On Monday at approximately 1 p.m., something strange happened in the small, seaside town of Wonthaggi. A resident by the name of Carol spotted an unidentified rainbow object in the sky. Was it a doorway into another realm? Had the aliens finally arrived? Wonthaggi, 132 kilometres out of Melbourne, knew it must have a purpose — was this it? Carol did what many residents would have done: she called radio station 3AW in a cry for help. By this stage, the town was in a panic, posting photos of various sightings on Twitter, begging for answers. It felt like it may be the final communication before the world reached its colourful end. Fear not, humankind. Michael Efron from the Bureau of Meterology saved the day. 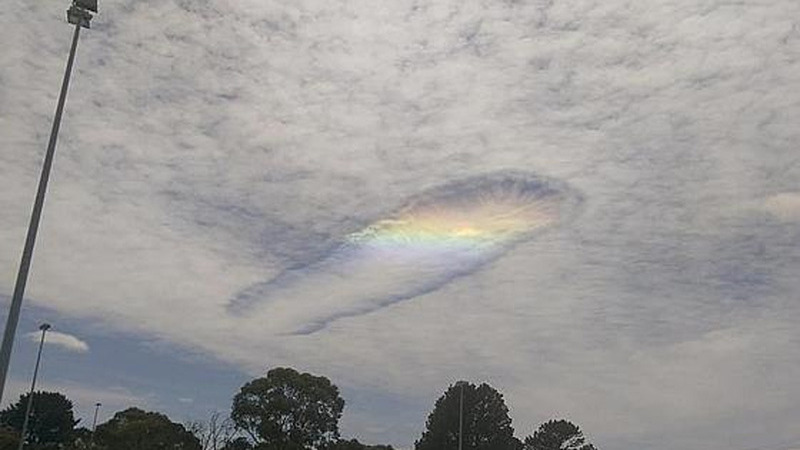 “It looks like a fallstreak cloud, also known as a punch hole cloud,” he told Fairfax Media.